Here we go again, the bienniel food fight over the region’s flexible transportation funds, otherwise known as the MTIP process. In fact, you’ll read another contributor this morning advocating for including a project on the first cut list. The public is invited to comment on projects to fund through Metro?s Transportation Priorities 2008-11, a regional process to schedule distribution of approximately $45.4 million in federal transportation funds. 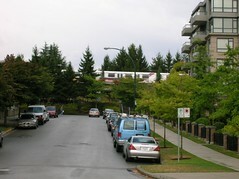 A 45-day comment period will open with release of a first cut project list on October 13, 2006, and end on December 1. The four listening posts shown below will be held in different parts of the region where people may comment in person. To ensure that oral testimony is accurately recorded, we encourage people to also submit their comments in writing. 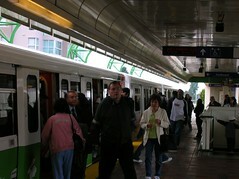 The list of projects will be posted on the Metro website at www.metro.org beginning October 13, 2006. I didn’t even notice until this afternoon, but sometime last night we slipped past 100,000 visitors! This month the KBOO Bike Show will feature a special membership drive program with guest host Tim Carver discussing the Springwater Trail and his other favorite off-street paths. We talk on the phone with children participating in National Bike and Walk to School Day. A few weeks ago I wrote about the SkyLink at DFW airport, and the attributes that made it an almost ideal transit system (high frequency, grade-separated right of way, central control reducing operator costs, etc.). 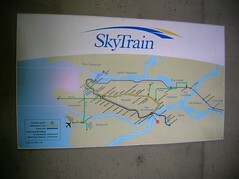 Visiting Vancouver, it was interesting to see how many of these attributes SkyTrain possesses. Three minute headways during peak commute hours was pretty impressive. But, in reality it’s not obviously superior to MAX. 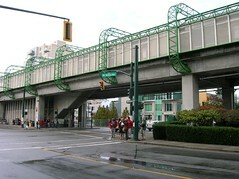 The infrastructure has a HUGE visual impact on the areas it travels through. And it’s only considered medium-capacity transit. The vehicle capacity is significantly lower than MAX, although the frequency offsets this. It’s also more expensive. They are actually planning a Light Rail spur line to feed SkyTrain from one of the suburbs because it will cost 1/4 or 1/3 of what SkyTrain would. Still, it’s an impressive system. I was particularly struck with the attention to security. 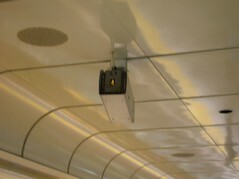 There are cameras everywhere and each window has a panic button strip that is supposed to summon help within 3 minutes. That would be a nice addition to MAX. 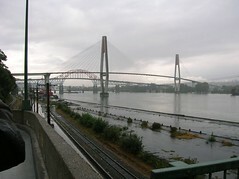 And that river crossing would be a great model for the proposed Caruthers Crossing Light Rail bridge. Part of the Willamette Shoreline transit analysis is providing a trail through the corridor. This sometimes tends to get overlooked while haggling over the potential transit options.